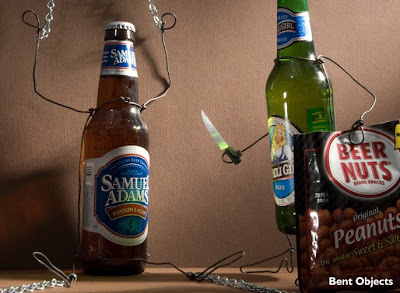 BENT OBJECTS: Yeah, this is where those come from. Yeah, this is where those come from. It's also how light beers are made here in the U.S., but personally, I only like a full bodied beer. She had often been described as a little bitter. She was cold one, that's for sure.